The very wintry weather we've had lately gave us perfect conditions for the 3rd annual Everything Is Winterrific event this past Sunday! The free event, organized by the Cleveland Metroparks, allowed attendees to enjoy the outdoor activities that Northeast Ohio winters have to offer, like showshoeing, winter hiking, dogsledding, cross-country skiing, ice carving, and more! 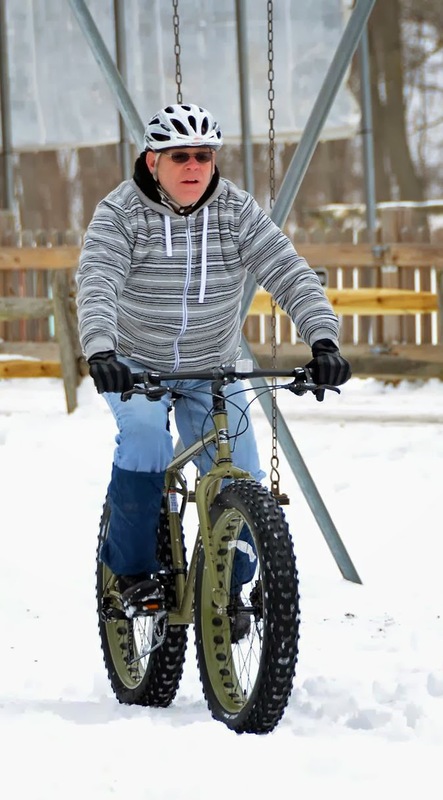 Of course, Century Cycles was there to provide test-rides of the Surly Pugsley and Pug Ops snow bikes from Surly Bicycles. Thanks to everyone who stopped by, and our thanks to the Metroparks for inviting us to be a part of the event again!